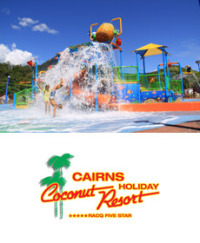 Escape the heat at Cairns' coolest water park, located at Sugarworld Gardens. With gentle rides and slides for the littlies, shaded resort-style pools and heart-pumping waterslide action for the daring thrill seekers. Come and try the 3 amazing Waterslides, watch the kids on the Kids Interactive Play System (KIPS) with tipping buckets, water cannons and mini slides, or relax in one of the parks two shaded pools and enjoy the licensed Kiosk. 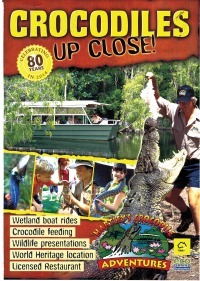 Take a boat cruise on Hartley's lagoon where crocodile sightings are guaranteed! Watch a croc lunge out of the water during pole feeding, see a live demonstration of the croc death roll and head shake, watch a snake show, meet the birdlife in the walk-in aviary, discover magnificent cassowaries and enjoy a range of daily activities that will educate and entertain. 6. Your Zoo in the City! The Cairns Wildlife Dome is a spectacular all weather wildlife exhibit based in the heart of Cairns city. Immerse yourself this open and interactive environment and meet the characters of the rainforest. Get up close to cute rainforest wallabies as they roam freely through the Dome. Observe curlews, frogmouths and kookaburras along with other animals such as frogs, turtles, pythons, freshwater crocodiles, lizards and adorable bettongs. Great option of you are short on time and want a rainforest & wildlife experience without the travel. 7. Get set to fly! Jump Mania is an indoor free jumping trampoline park with over 1,000 square metres of wall-to-wall interconnected trampolines and 6 different trampoline zones to explore, plus a 200 square metre Skydeck complete with café and 3 VIP Party Rooms. Free jump trampolining provides the ultimate blend of exercise and fun for all ages – perfect for the entire family. Yes that’s right, even Mum and Dad! 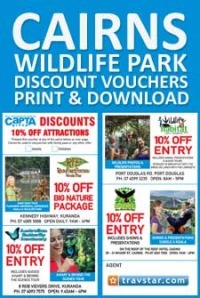 The Kuranda Koala Gardens is a beautiful boutique wildlife park situated in the middle of the Heritage Markets. Here you can cuddle a koala, sit down beside wallabies and get very close to some iconic Aussie animals. You'll have the chance to hand-feed kangaroos and the wallabies, get up-close to freshwater crocodiles and walk through Australia’s only walk-through snake house to see pythons and poisonous snakes. Rainforestation offers a rainforest, wildlife and cultural experience all wrapped into one. The kids will love the army duck ride, it's a unique way to view the rainforest with a knowledgeable Duck Captain who will point out interesting trees, birds and wildlife along the way. The koala & wildlife park is the place to handfeed the kangaroos and wallabies. Have your photo taken with a koala and meet the star attraction of the park - "Jack the Ripper" a 5 metre saltwater crocodile. If there's anything more entertaining than viewing birdlife up close, its having breakfast with them too! Enjoy a fantastic tropical brekkie buffet whilst enjoying the sounds and colours of the tropical birdlife as they mingle and roam freely in this natural setting. Afterwards wander along elevated boardwalks, observing up close a huge range of flora and fauna. Hand feed a kangaroo, cuddle a koala and eyeball a saltwater crocodile. This wildlife attraction makes for a fun and entertaining half day out, where you can make friends with lots of cute animals. 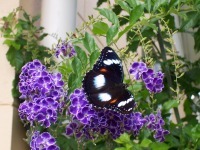 The Australian Butterfly Sanctuary is the largest butterfly flight aviary and exhibit in Australia. Located in Kuranda Village, the sanctuary is home to over 1500 magnificent tropical butterflies that are hand reared on the premises. Be sure to wear something bright (red or white) and let these beautiful and colourful creatures flutter all over you as you wonder through. Home to the largest single collection of free flying birds in Australia (some 500 of them! ), Birdworld Kuranda is the best place to get up close and personal with some amazing Australian and exotic birds! Visitors are free to wander through the lush, tropically landscaped bird sanctuary to observe the birds in their own specific - yet natural - habitats. Birdworld Kuranda is a photographer's paradise, and without those barriers, visitors often find a feathered friend nestling on their shoulder! 13. An unforgettable rainforest experience! Skyrail provides a great adventure for kids of all ages and is an ideal all weather activity. Gliding just metres above the tree tops, kids will be fascinated with the cable cars and in awe of the changing landscapes. 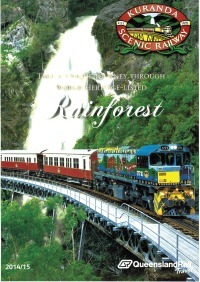 Barron Falls Station provides a fun learning experience at the Rainforest Interpretation Centre. Kids will love the touch-screen computers, microscope, videos and pictorials - it's a great opportunity for them to learn a few things about the rainforest without realising it! Spot creeks, birds, fan palms and many other amazing rainforest plants on the short boardwalks into the rainforest. Trinity Beach is the ideal family escape for those after a beachside holiday, the small beachside village atmosphere provides a safe and quiet escape. At the Southern end there is a lovely rocky walk with a stone seat high up on the rock where you can enjoy watching sunrises, sunsets, dolphins and boats. Children can explore the rock pools for marine life, crabs and shells. There is a beachfront playground, barbeque facilities and many family-friendly restaurants. 17. Need a break from the kids? Kids will be in their element at Muddy's Playground located right on the Cairns Esplanade. This action packed fun filled playground offers hours of entertainment featuring water play areas, flying fox, sound chimes, track ride, rope bridge, slides, play houses, story telling areas, see-saw, trick track and puzzle games. "Muddy" the Mudskipper what is very adorable among littlies, they can climb and sit up on it a well as sit in its big mouth. There are lots of shaded areas ideal for parents to relax whilst the kids have a ball and play. 21. Dude check out this fully sic sk8park! Cairns skate park is located right on the Cairns Esplanade and is one of the biggest skateparks in Australia. The park features just about every obstacle an avid skateboarder/bmx/scooter rider you could hope for, has a great design & is only a short walk from the shops. Open to all ages, the best time to bring younger kids is early morning before the teenagers arrive! Reef Magic Cruises caters for all activity levels onboard their all-weather Marine World activity platform. This trip is ideal for families with young children as the stable platform provides an ideal base to conduct all reef activities. Younger children will love the kids swim area which is fully enclosed and safe. Other activities to keep you busy include semi submersible tours, glass bottom boat tours, an underwater observatory, reef scenic heli flights and a marine biologist presentation. 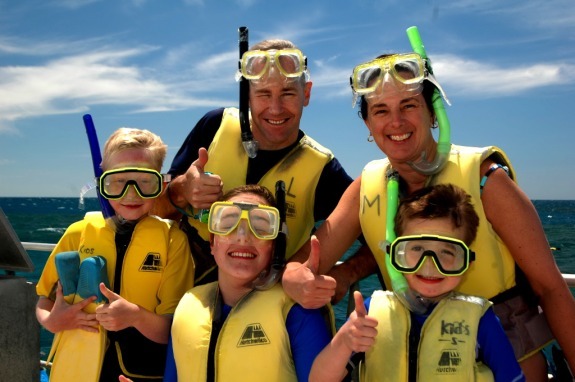 This range of activities is sure to please every member of the family, and with 5 full hours at the reef, there is plenty of time to do it all. 23. Sunday Arvo at AJ's! AJ Hackett Cairns invites everyone to come and experience a Sunday Arvo at AJ's! Chill out in style with a Bungy in the Rainforest. Every Sunday 1pm-6pm. FREE ENTRY. FREE Live Music. FREE Jumping Castle. FREE Face Painting 2-4pm. The AJ Hackett Bungy site is a beautiful venue nestled in World Heritage listed rainforest. Goannas and the stunning Ulysses butterfly are often seen roaming throughout the site. Sunday Arvo at AJ's provides a fun afternoon for all the family, enjoy the entertainment and great Bungy viewing opportunities from the deck overlooking the natural water waterfall, pond and tropical foliage. 24. Get your skates on! The Cairns Recreation Centre hosts a number of indoor sports and leisure activities, including roller skating on one of the largest indoor roller skating rinks in Australia, and rock climbing on the indoor rockclimbing wall. Open to the publc through the week and on weekends, it's a great activity for the whole family to join in. Night time Roller Discos are for the young and the young at heart with the "please bring back the eighties" theme; Retro skate is also becoming very popular on Saturday nights. A hand line is all you need to catch fish off the Palm Cove jetty. Trevally and queen fish are common catches while the occasional barra has been landed. A popular local fishing spot for all the family, grab yourself an icecream afterwards as a treat. Kids will also love a play in the nearby playground. The Cairns Go Bowling Centre is fun for all the family with all new glow lanes, laser lights and party music. Open 7 days a week, the complex features 20 Bumper Lanes, fully automatic scoring, a cafe & bar and amusement machines. Choose from 1 to 3 games, which all include shoe rental; family deals are available all the time. Located at 93 Pease Street, this is a great activity for those wet and rainy days! The popular Southern Tablelands Waterfall Circuit begins with Millaa Millaa Falls, the most scenic of all, and one of the most photographed images in the Wet Tropics. 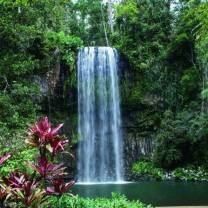 Zillie falls is located 7.5km past Millaa Millaa falls. These falls are best seen from below. Only a 3km drive past the Zillie Falls are the Ellinjaa Falls. This is a picturesque and popular waterfall that runs in cascades over a series of lava columns. On the way to Ravenshoe visit Souita and Pepina Falls and Australia’s widest waterfall, the Millstream Falls. Brothers Leagues Club is a family friendly venue. Children are welcome in the restaurant, lounges, at functions - and especially in the kids room! The brand NEW Kid’s room is fully supervised and is the perfect area for children 3-12 yrs to hang out, play on the slide, play games including X Box, watch DVDs, colour in and lots more! One child under 12yrs eat Free on Sundays per paying member, and children under 3 years always receive their meals complimentary. 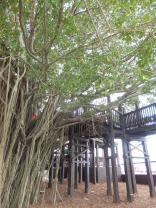 The Fig Tree Playground is located next to the Cairns Cruise Liner Terminal. Built around a 70 year old fig tree, the recycled timber playground provides a lovely setting for kids to play, explore and create new adventures. Just opposite is Wharf One Cafe which provides a delicious, healthy and very well priced menu, including dedicated kids menu. The location is also fun for watching the huge cruise ships come and go. Wear your best orange and head on down to 'The Snakepit' for an evening of live action and entertainment. The Cairns Taipans is Cairns' official basketball team competing in the National Basketball League. One of the best game night entertainment packages in the NBL, Cairns generally attracts a close to capacity crowd anywhere from 4000+, and leads the way when it comes to atmosphere. A fan favourite is NBL All Star mascot Joe Blake who entertains kids and adults from the sidelines with his edgy antics and brand of hijinks. Featuring anthems, crowd chants and all the hype of 'boo-ing' and 'taunting' their visiting rivals it makes for a great family fun night out. The NBL basketball season runs from October to February. Gallo Dairyland is well worth a visit with the kids, featuring a fully operational dairy farm, gourmet cheese factory, cafe/restaurant, hand crafted chocolate and a petting zoo. If you arrive around 3pm then head over to the milking shed where you can watch the cows going in for their afternoon milking session. Kids will love meeting and patting all the animals in the walk through pertting area, there are pigs, goats, chickens and calves, plus some chickens, turkeys and ducks you'll find wandering around the car park area. The Cairns Festival Grand Parade is one of the biggest community events of the year that sees up to 30,000 people line the Esplanade to watch the colourful floats wind from Munro Martin Park to Cairns Esplanade Lagoon. The Grand Parade also includes live performances from local bands, dance troupes and more. Kids will love the excitement, colour, music and entertainment of this amazing, awe-inspiring kick-off event for the Cairns Festival. Grab the latest movie release whilst kicking back in a historic old world theatre. The Babinda Picture Theatre was built in 1956, but demolished by cyclone Larry in 2006. Now faithfully restored, the theatre has retained its 1950's aesthetic, with canvas deck chair seating from that era. was built in 1956, but demolished by cyclone Larry in 2006. Now faithfully restored, the theatre has retained its 1950's aesthetic, with canvas deck chair seating from that era. Showing the latest movies in 2D or 3D digital, it's a charming place to go and great novelty for the kids. Movies are shown Friday, Saturday & Sundays. Forget the ponies, the cane toad races at the Iron Bar in port Douglas draw the fun crowds. Hop in for a ticket to join the race, but beware if your number draws a cane toad you have to give it a kiss to wish it luck! 36. Choo choo - a must for the kids! 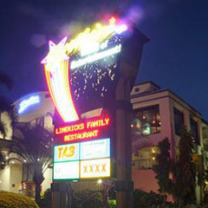 Grab some snags and bread rolls and head on down to the Cairns Lagoon for brunch. Take advantage of the free BBQ faciltiies and enjoy a beautiful day out with family and friends. BBQ facilities are set within shady areas and feature picnic tables and benches. The lagoon pool offers an all-year round, safe, swimming with a sandy beach on one side and then a depth of about 1.5m towards the other. Situated right on the waterfront enjoy a great views of the Cairns Esplanade and ocean. The Salthouse Family Fun Brekkie takes place the last Sunday of the month between 7am and 11am, and includes a full breakfast platter including all the usual big breaky items (not including drinks) for $49 per family of 4. Children will receive a free goody bag on arrival and the entertainment line up varies monthly with cheeky monkey club, Nikki the clown, rachel the singing facepainter and Sumphun Kids Craft. Bookings essential. 39. Let the battle begin! Cairns Laser Tag is an ideal option for those that enjoy the thrill and spills of paint ball, without all of the bruises and mess that comes along with it. 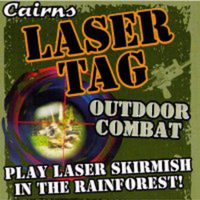 One of the coolest recreational activities in the world, all of the games at Cairns Lasertag are played on an outdoor battlefield in a variety of different terrain including trees, gullies, open fields, tall grass walls and canvas walls. This exciting interactive experience is suitable for ages 7 and up. Public sessions run every Saturday and Sunday. Why not combine your day with a swim and visit to nearby Crystal Cascades. 40. It's wet, wild and loads of fun! Bad Fishy's cool boat "SCREAMO" is designed for stunts, speed and agile performance. On the Inlet spins, slides, fish-tails and water-walls are all part of the fun. You'll love the tunes Bad Fishy pumps out adding funk and groove to the thrilling ride! Your skipper will provide interesting local knowledge and commentary during the ride. Check out the views of The Trinity Inlet and it's stunning surrounds while having a thrilling adventure. 41. Photograph a 9 metre Allosaurus!! 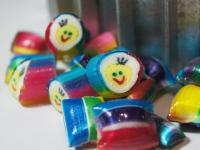 Sweet smells will no doubt lead the kids to Kuranda Candy where traditional hand made rock candy is created right before your eyes. Watching the staff make the candy is really interesting, especially seeing first hand the skill and dedication required to produce intricate designs within the candy. But of course getting to taste the candy is even better! Next to the Port Douglas marina is a restaurant called On the Inlet, that happens to have a resident groper by the name of George. George weighs about 250kg and is one of the largest fish that inhabits our waters. George visits On The Inlet regularly in the afternoon at approximately 5:00pm for feed time. His favourite delicacy is a tuna frame, and you can watch as he delights the crowd performing his dinner routine most evenings! The Historic Village Herberton is an outdoor museum presenting the story of Australia’s pioneering past. The Village currently has over 50 original buildings that date from Herberton's foundation years. Walking through the Village, visitors are given a sense of being in a real township complete with chemist, bottle collection, school, bank, grocer's store, frock salon, toy shop, mechanic, jail and more. The kids will have a ball checking out all the exhibits and and taking part in some of the scheduled activities throughout the day. There is also a brand new playground located on the other side of the suspension bridge. 45. Unleash the motor sports freak inside of you! A great option for teenage kids, the Blazing Saddles Quad Bikes are easy to ride and provide the perfect action packed adventure. Prepare to get down and dirty as you tour cane fields, muddy trails and red dusty tracks. Suitable for beginners, your fantastic guide will lead you out for as much fun as you can handle - donuts, drifting, much mud and more! 46. Yo-ho-ho! lets have fun! The Pirate Ship playground located at the northern end of the Cairns Esplanade is a favourite with younger children and a popular meeting place for mums and dads in the Cairns area. There are two picnic tables, a large free BBQ facility and plenty of grassy picnic space. This beautiful location is also very shady, no doubt you'll find kids handing off the trees or enjoying the pathways that surround the play area bike riding and scootering. Yungaburra Markets is a good day out for all the family. Held in Yungaburra on the 4th Saturday of the month, local producers gather on the commons in the middle of the historic village of Yungaburra to sell fresh produce, flowers, home made crafts, jewellery, artwork, wooden furniture, clothing and just about anything else you can think of. There's plenty to keep the kids amused including face painting, jumping castle, lucky dip, kids stalls, live music and plenty of delicious treats. If you're wanting to get the kids out in nature then Granite Gorge is a great place for families. Entry to the park includes access to the gorge walks, Wallaby watching and feeding, canoeing on the river - you can bring you own canoe, rock hopping, caves to explore, bird watching, fish feeding & turtles. Volcanic activity has forced up huge weird boulders shaped into animals and its fun spotting rock formations that depict animals. Visit for the day or stay longer. Open during the School Holidays for Fishing, Camping and Platypus Viewing, Tarzali Lakes offer a range of fun activities including fishing, platypus tours, fish feeding, aqua golf, bird watching, nocturnal tours and camping. The boutique Smokehouse Café is well worth a visit and being family orientated, the children's menu provides healthy value for money meals. The very popular and much loved Doyle Family Fun Show is held every Tuesday night at Mondo Cafe, bringing interactive fun to countless children and their families. Kids are encouraged to dress up, put on some face paint, grab an instrument and join in the band playing and singing their way through the many Doyle penned ‘Aussie songs for kids of the world’. Children, along with their parents, will absolutely love this night out. Immerse yourself in the vibrant culture of cairns at Rusty’s Markets in the heart of the city. There’s fresh local produce, artisan breads, organic meat, ocean-fresh seafood, locally produced cheeses and charcuterie plus an eclectic mix of handicrafts. Stop for a slushy, samosa or home-baked cookie and enjoy the entertainment. Reef Teach is a very entertaining evening, featuring a presentation that shares a special insight into the magical world of the coral reef. Be wowed by amazing facts and beautiful images, and handle a range of corals and other marine specimens – including some of the more dangerous creatures you wouldn’t want to touch in the wild! 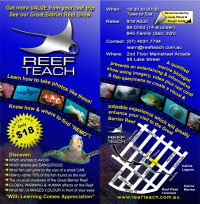 It will amaze, inspire, and have you laughing about the funny facts and weird and wonderful ways in which the reef works! When you get out to the reef you’ll be thrilled at your ability to recognize a lot of what you see. 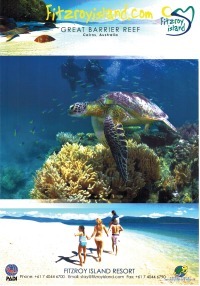 An awesome family adventure, Sunlover Cruises brings a day of discovery at the Great Barrier Reef. Ideal for families this reef cruise includes activities for all the family such as snorkelling, glass bottom boat and semi-submersible coral reef viewing tours, an underwater observatory, marine life touch tank and a sumptuous seafood buffet lunch. Lake Tinaroo is a haven for water skiers, sailors, fisherman and wildlife watchers. 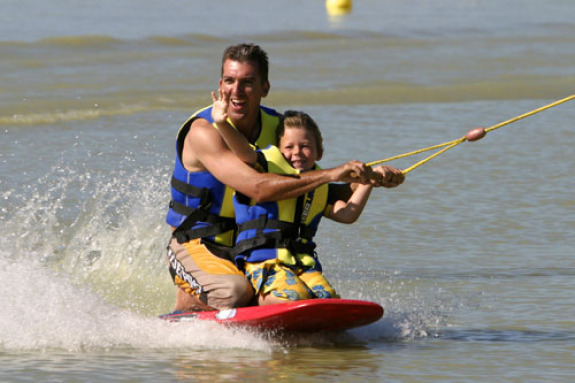 With no crocodiles, sharks or stingers, the lake is safe for all water sports all year round. Popular with Cairns families, boating, swimming, water-skiing, sailing, canoeing and wind surfing are some of the activities to be enjoyed on this beautiful lake. The lake is stocked with sport fish, including the prized barramundi. Lake Eacham offers a perfect day out for families. Enjoy swimming, birdwatching, canoeing, picnic areas and shady walking tracks. Wriggle like a snake, stamp on pests and hunt for dragons on the Children's Walk (1.4km return) through the Lake Eacham rainforest. Enjoy a cool dip or snorkel the edges of Lake Eacham. Spot saw-shelled turtles and eastern water dragons. Picnic tables, shelters, toilets, and barbecues are provided and two viewing decks offer uninterrupted views of the lake and its inhabitants. 59. The Best Place to get your Nuts! A popular stop off when touring the Atherton Tablelands is The Peanut Place. You can’t miss this place just outside Tolga with the Big Peanut outside. Featuring the freshest selection of raw, roasted, boiled and flavoured nuts. Have fun trying out the 13 exuisite and tasty flavours. Come and join in the fun of North Queensland’s largest Indoor Inflatable Playground. Suitable for all ages, there are 2 separate zones - one zone for Tiny Tots aged 5 years and under, and the other an All Ages Zone. 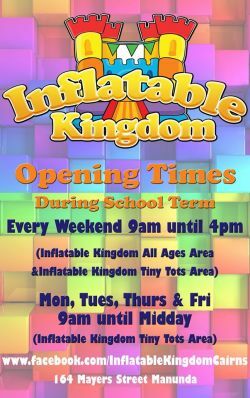 Open Mon-Sun 09:00 - 16:00, your session starts when you arrive. Don't forget to bring socks! 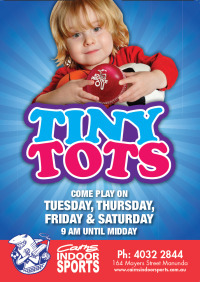 Tiny Tots at Cairns Indoor Sports is on every Tuesday, Thursday, Friday and Saturday mornings from 9am until midday. Aimed at children from the time they can walk until school age. There are jumping castles, games and plenty of play equipment all designed to allow the kids to explore the wonderful world of sport and the joys of an active lifestyle. There are also running races and skill sessions where children learn to hit, throw, kick and catch balls of all shapes and sizes. This state-of-the-art, air conditioned, indoor Kids Play Centre provides an engaging environment where kids aged 4 to 12 years can take part in fun and social activities.Parents can enjoy a meal and entertainment at Cazaleys whilst the kids are entertained in the Clubhouse. During supervised times a $2.00 fee is payable per child. When it comes to crabbing tours in Cairns, you just can’t beat Catcha Crab! A fun half day tour for all the family, cruise the far north’s pristine waterways teaming with life and catch a feed of fresh crab or enjoy a spot of fishing. A fresh mud crab lunch is guaranteed! 64. Pigs in a flying machine?? Situated in the Original Kuranda Rainforest Markets is a cute little mini-golf course set amidst lush tropical gardens. This one of a kind 9 hole course is only $5 to play and perfect for kids of all ages. 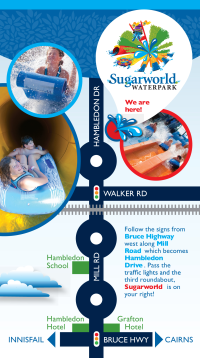 Float down the Mulgrave River on a professional high quality twin chamber tube. This safe fun water activity will take you through beautiful scenery as you drift through small fun rapids. Suitable for children from 5 years old, this 2 hour trip provides adventure for all the family. 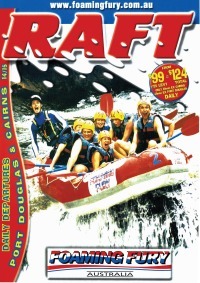 The Barron Family Rafting adventure offers a fantastic introduction to white water rafting for the whole family. 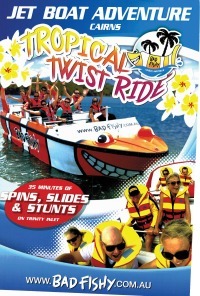 Designed for children 6 - 12 years, this fun and exciting tour offers the thrills of paddling rapids graded 1 - 2. Children 10 years old and above can test their rafting skills and raft without an adult, or take a two person Sports Raft with an adult and child in each. No experience is necessary for this exciting afternoon of adventure. During the 1950s there were 330 drive-in theatres in Australia. Don’t laugh your mum, dad or even you where likely conceived at one of these! Mareeba is home to possibly Queensland’s last drive-in theatre. The year round comfortable climate makes it a great place to see a film under the stars. Mareeba drive-in plays all of the current cinematic blockbusters and even serves up an old school menu. Treat yourself to some delicious drive-in cafe food, such as burgers, hot dogs, milk shakes, fries and all the classic drive-in movie snacks. Open every Friday and Saturday night. 69. A great day for shooting your friends in the middle of the rainforest!! This is an activity for the teens! 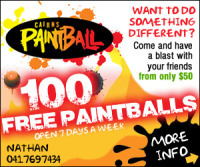 Cairns Paintball is the most established and extensive paintball field in FNQ. Have a blast and experience a real adrenaline rush. This will be a day of running, jumping, hiding, and shooting all your friends. Featuring 7 playing fields spread over acres of awesome rainforest terrain. Players must be at least 15 years old to participate. 70. One for the tots! Geckos Indoor Play Centre is ideal for those really hot days or really rainy days. Featuring a multi-level indoor playground, climbing frames and slides, jumping castle and seperate toddler area, the venue caters from 6 months to about 11 years. There is a cafe on site so parents can enjoy a rest and chat while the kids play. 73. See venomous animals you will not find in Any Other Zoo On Earth! Ellis Beach is the least developed of the Northern Beaches and probably the most beautiful. It literally backs onto the mountains and is where the rainforest meets the ocean. The water is much clearer here and the beach much wider, which is great for building sandcastles and plenty of space for games and running. There are lots of opportunities for play and exploring with a rocky outcrop on the beach and freshwater gullies. Ellis Beach provides a designated netted area for swimming at the beach during stinger season. 75. Showbags, dagwood dogs, sideshow alley and more! The Cairns Show is the largest Regional Show outside of EKKA providing 3 full days of family entertainment. This family-orientated provides a great spectacle showcasing more than 400 local industries. From traditional craft displays to agriculture, fashions, performances, fairground rides, dagwood dogs, fireworks and the beloved showbags. There is plenty for everyone at the Cairns Show, expect to spend a good day here. 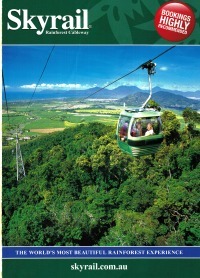 Situated high above the Cairns Casino the Cairns Zoom is a must do for anyone who has adventurous kids. The ropes obstacle course provides a number of challenges including creative problem solving, teamwork, cooperation plus testing boundaries and comfort levels. The MidZoom ropes course is great for younger kids whereas the HiZoom is suited for those who want a bit more of a challenge. Ropes courses can create a great sense of achievement, children as young as 8, and adults as old as 98, are able to participate at the Cairns ZOOm. The Red Beret is a classic North Queensland pub and the perfect spot to grab a quick wholesome meal after returning on the Kuranda Scenic Train as its just up the road. The dining area is huge, clean and the menu expansive with good food and friendly staff. The kids will enjoy themselves, with a big play area to keep them entertained allowing time for parents to relax. A "Kids Eat Free" night is on Wednesdays. 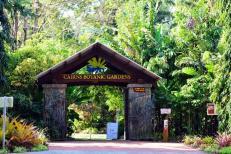 Covering approximately 71 acres for a recreational reserve, the Cairns Botanic Gardens has blossomed into several botanic spaces including The Gondwanan Heritage Garden, Fitzalan Gardens, Flecker Garden, Aboriginal Plant Use Garden and Centenary Lakes. The gardens are connected by interesting paths and footbridges. Explore the myriad of pathways, spot turtles at Freshwater Lake, enjoy a picnic and play at Centenary Lakes. 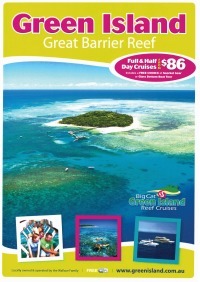 Compass Cruises offers the best value day trip to the Great Barrier Reef. 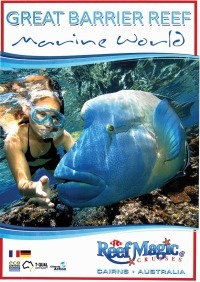 Snorkel or dive amongst beautiful corals and a colourful variety of tropical marine life. 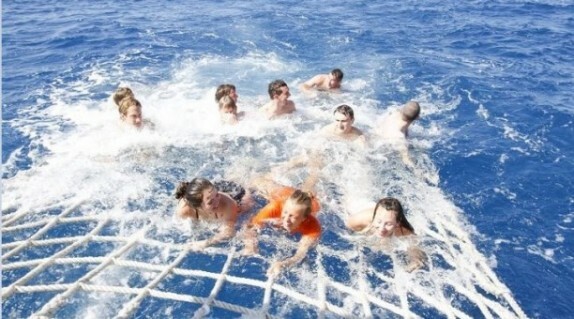 Then get ready to get a little bit crazy on the way home - take the “Wild Ride” on the famous Compass Boomnet. hanging from the back of the vessel, kids will find this hysterically funny holding onto the net and watching people being flung off when the speed picks up. Visiting the reef for the day is an exciting excursion for kids, and in turn very rewarding for parents to watch their children interact and gain knowledge of this truly educational experience. Quicksilver's snorkel platform provides easy access into the water, and with fish and corals located directly below, you don't need to swim too far to experience the Great Barrier Reef. An underwater observatory built into the pontoon is a little like being in an aquarium but seeing the fish and coral in their natural habitat. 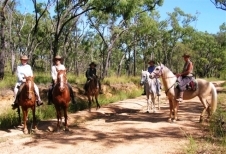 Taits Wongabel Stables is located in a beautiful bush setting on the Atherton Tablelands. This is a true family operation supported by people with a passion for horses and the bush. Beginners of all ages can enjoy a one hour lesson/ride which teaches them to handle a horse on varied terrain. More experienced riders, or those who are fit enough for an adventure activity can enjoy a half-day ride in a scenic mountain setting that includes boiling the billy at a creek for a morning tea. The Malanda Falls Conservation Park is a popular swimming spot for residents of the area, with abundant rainforest wildlife, walking trails and an important historical site. 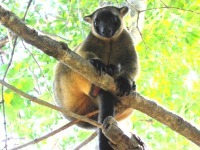 This is one of the best places in the world to spot the unique Lumholtz’s Tree-kangaroo. There are two short walks through the surrounding remnant rainforest. Take a walk with the local Ngadjon Aboriginal guide, or spend some time in the Malanda Falls Visitor Information Centre to discover more about the geology, cultural history and wildlife of the Tablelands. 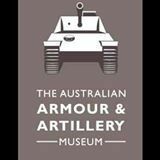 Military buffs, big kids and little kids will be spoiled for choice at the Cairns Australian Armour and Artillery Museum, featuring over 90 tanks, armoured vehicles and artillery pieces. Sourced from accross the globe, this is the biggest collection of this nature in the southern hemisphere, with armoured vehicles and tanks, anti aircraft guns, field guns, combat equipment, armoured vehicles, anti tank vehicles, howitzers and self-propelled guns. Add to the experience with a fun army style adventure inside an authentic decommissioned Vietnam era APC. 85. Wet season WOW factor! The once mighty Barron Falls is today diverted for hydroelectricity, so now the full Falls are only seen in flow during the extreme wet season. In such a flow, the water tumbles over 260 metres to the river below. You’ll see a thundering spectacle, and may even be enveloped by a cloud of mist from the falls. The best vantage point is from the Barron Falls Lookout which is accessed via Kuranda Village. Take the boardwalk that weaves through the lush rainforest canopy before descending to the Falls Lookout. For kids who love climbing, the Cairns Esplanade Bouldering Park is open all day, every day and is free for casual use. Bouldering is a form of rock climbing at low height so no need to worry about the danger of them falling from too high! Suitable for all ages and levels of experience, the Bouldering Park is located near the beach volleyball courts (near Cairns Hospital), and as part of the Cairns Regional Councils Active Living Program, a free weekly climbing class takes place every Tuesday from 5pm. 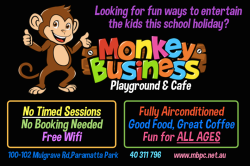 Monkey Business Playground & Cafe is Cairns largest indoor playground featuring huge play structures and a separate toddler play area. Offering respite from the Cairns intense weather, and a place where you can take a much needed break with like-minded parents. Enjoy free wifi, fun, laughter, good food and coffee. Tjapukai provides a range of cultural activities and shows to deliver fun, interesting and educational experiences for kids. 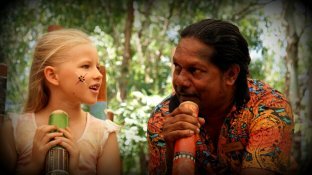 Kids can enjoy a range of extra activities as part of their Tjapukai by Day experience including a story stone painting class, didgeridoo lesson and more. Children will especially enjoy the music and the unique instruments, the didgeridoos are always a hit! The shows, demonstrations and activities make it a very engaging and interactive day. Fitzroy Island has long been enjoyed by the Cairns locals along with visitors from all over the world. Easily accessible with just a short 45 minute ferry transfer from Cairns, the island that is mainly National Park, is the the perfect place to enjoy some exploring and adventures for all the family. Activities include, snorkelling, swimming, sea kayaking, ocean trampoline and viewing the reef by glass bottom boat. Resort facilities include a resort pool with a swim -up bar, games room, a cinema and all the usual facilities found within a modern island resort. 90. Run in a human sized hamster wheel!! Be Tarzan (or Jane) for the day and fly through the Daintree Rainforest with Jungle Surfing Canopy Tours. You will start by powering your jungle buddies up to first base via a human size hamster wheel, hey in the jungle you've got to be creative! Then zip through the rainforest canopy between six tree canopy platforms. This rainforest adventure activity is suitable for all ages from 3-103, so the whole family can enjoy the thrill of flying through the rainforest. 91. View some Really Cool Bugs! Check out an impressive collection of very interesting beetles, spiders, moths, stick insects and many more at the Daintree Entomological Museum. The whole museum is dedicated to creepy-crawlies, featuring a dazzling display of colours and shapes of insect species all pinned and documented. Kids will love handling the live stick insects and leaf insects and peppermint stick insects at the front desk. 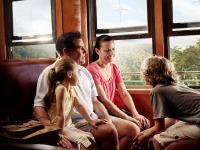 The Kuranda Scenic Rail authentic timber carriages will transport you between Cairns and the pretty village of Kuranda, via hand-hewn tunnels, across towering bridges, and through the awe-inspiring Barron Gorge. Freshwater Station provides the perfect start to this family filled day, modelled on the architectural style which was popular in the turn of the last centurary. The station features a Museum, Theatrette and Restaurant. Retired 85 year old railway carriages provide a unique dining experience, and with a hearty breakfast it's a great way to start your day! Mossman markets are held every Saturday from 7am until 1pm under the shade of towering raintrees. Meet local farmers (hobby and born-and-bred) who bring their seemingly giant produce including tropical and exotic fruits, vegetables and herbs and spices and offer sharp prices. A large kids playground is located just opposite the markets featuring a double flying fox, a wheelchair-accessible carousel, bamboo maze and outdoor musical instruments. Continue your day to Mossman Gorge or the Daintree Rainforest for a day of fun. Get the sand between your toes, enjoy a cocktail or a cold beer and let the kids have some fun at the Kewarra Beach Resort Beach Shack. 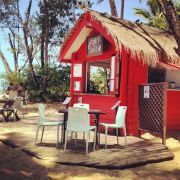 Open every Friday night (weather dependant), The Beach Shack provides wonderful wood fire pizzas, drinks (alcoholic and non-alcoholic) and a local DJ playing the latest and greatest tunes for the kids to dance, run around and enjoy. Located right on the beach front, enjoy a relaxing evening out in a beautiful tropical beach setting. Open from 4pm until 7pm. 95. Sunday Kids Eat Free! Sunday evening at Paradise Palms the Kids Eat Free (One adult paying one child free) from 5-8pm at Fifty Nine Restaurant. Why not enjoy the afternoon at Paradise Palms and allow the kids to roam free in the Adventure Playground at Pelicans in Paradise. Take a round of mini golf and then finish the day with a family meal at Fifty Nine Restaurant. Why not hire a boat for a few hours. Leave the busy Cairns Marina and moorings behind and explore the maze of creeks that are home to some spectacular wildlife. Watching out for the elusive crocodile or spend some time fishing. No boat license is required. Pontoon boats are stable flat floored, easy to use and secure for children, these range from 6 to 8 people. Beach Fun Co at Palm Cove is situated midway along the beach and central to all the action. Choose your own adventure and have FUN! Tour Double Island by jetski or sea kayak, hire a 'Cat' and have a sail, go fishing in a tinnie, paddle to the island, hire sun lounges, SUP's, boogie boards and more. The Cairns Go Bowling Centre is fun for all the family with glow lanes, laser lights and party music. Open 7 days a week, the complex features 20 Bumper Lanes, fully automatic scoring, a cafe & bar and amusement machines. Choose from 1 to 3 games, which all include shoe rental; family deals are available all the time. Located at 93 Pease Street, this is a great activity for those wet and rainy days! 99. Take AWESOME to the next level! Indoor live action laser games, featuring a movie-set style arena of a destroyed city after the alien invasion. Also a Laser Maze and state of the art redemption ticket arcade games. Anyone can play, great all weather venue for parties and groups. 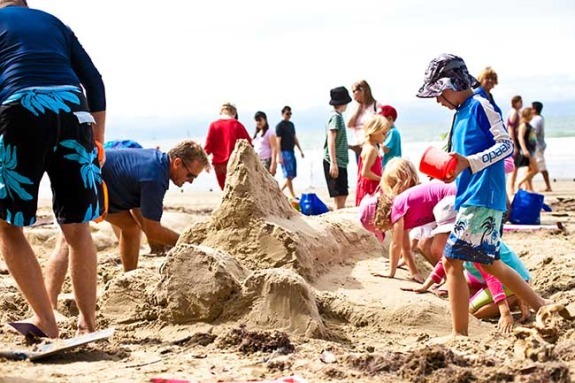 The ever popular Family Beach Day as part of the annual Port Douglas Carnivale offers a lively array of tropical sights, sounds and entertainment. The Kids Fun Zone hosts the legendary sandcastle competition, treasure hunt and tug-of-war, as well as the market place serving food, refreshments and gifts on the Esplanade. Local buskers, art happenings, pony rides and street theatre performers all add to this fantastic family day out! 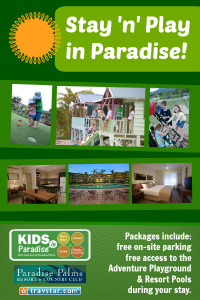 Paradise Palms is perfect for family getaways with a kids Adventure Playground that includes a giant jumping pillow, climbing spider, cubby houses, games room and an 18 hole mini golf course. Open every weekend during Queensland school holidays and public holidays, this affordable pool and waterslide complex makes for a fun family day out, especially during the hot summer months. All of our wildlife parks in the Far North offer an interactive learning experience. Cuddle a koala, feed a kangaroo, hold a snake or pat a crocodile. There are many adventures and experiences to be had! Enjoy the thrill and excitement of seeing crocodiles close up at Hartleys Crocodile Adventures.The entertaining and educational wildlife presentations including snakes, cassowaries, koalas, crocodiles and quolls really make it a fun day out. The Kuranda Koala Gardens is a beautiful boutique wildlife park situated in the middle of the Kuranda Heritage Markets. Rainforestation Nature Park is situated five minutes from Kuranda Villag, offering a rainforest, wildlife and cultural experience all wrapped into one. Tuck into the famous Breakfast with the Birds. This is a visitor "must-do" and one of Queensland's best tropical breakfast buffets. The largest single collection of free flying birds in Australia. Situated in Kyranda Village, Open daily 9:00am - 4:00pm. The Skyrail Cableway offers an exciting and explorative experience for kids, touch-screen computers, videos and pictorials at the Interpretive Centre will help to unravel some of the mysteries of this complex ecosystem, whilst providing a fun and entertaining learning experience. Reef Magic Cruises caters for all activity levels onboard their all-weather Marine World activity platform. Come and experience a Sunday Arvo at AJ's! FREE ENTRY. FREE Live Music. FREE Jumping Castle. FREE Face Painting 2-4pm. 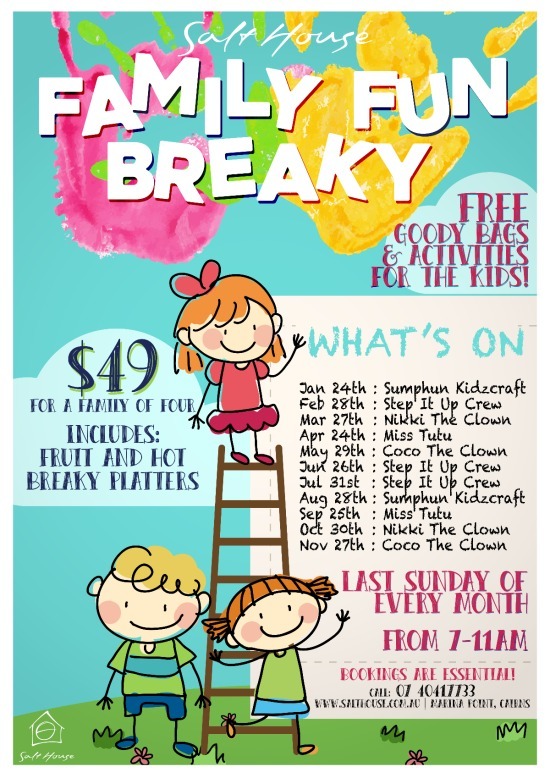 Great family fun, roller skating, indoor rock climbing, family events, tiny tots, school holiday program and more!! Well worth a drive to sample some cheeses and handmade chocolates and give the farmyard animals a pat. Held annually in September, Cairns Fesitval is a 9 day program that celebrates our region's diversity. There will be plenty of activities for all the family including numerous activities on the Cairns Esplanade. Jump onboard this thrilling 35min jet boat ride. Children must be at least 1.2m tall. Family rates available. Open year round, visitors are given a sense of being in a real township complete with chemist, bottle collection, school, bank, grocer's store, frock salon, toy shop, mechanic, jail and more. You can spend an entire day absorbing it all so plan on relaxing and taking your time. Have a blast and experience a real adrenaline rush With over 12 playing scenarios and 7 playing fields spread over acres of awesome rainforest terrain. 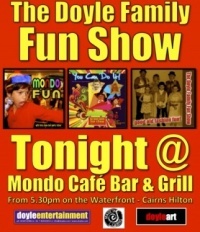 The Doyle Family Fun Show perform every Tuesday night at Mondo Cafe Bar and Grill on the waterfront under the Hilton Hotel Cairns from 5:30pm. Children invited to join the band after they get their face painted. 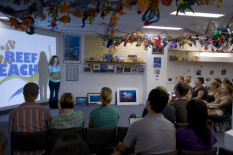 The Reef Teach presentation is a very entertaining evening, full of amazing facts, beautiful images, and the opportunity to handle a wide range of corals and other marine specimens. 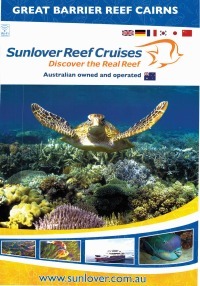 Discover and explore the wonders of the Great Barrier Reef with Sunlover Cruises. Come and meet some of our fine finned & flippered friends!! There are jumping castles, games and loads of fun play equipment all designed to allow kids to explore the wonderful world of sport and the joys of an active lifestyle. North Queensland’s largest Indoor Inflatable Playground, suitable for all ages. Enjoy a half day of Crabbing, Fishing, Dining and Cruising with Catch-a-Crab on the beautiful Trinity Water Habitat. An excellent option for children and parents, nice and easy rapids followed by nice swimming pools to take a dip and get out of the heat. Great half day trip which is something suited to family's with teenage kids as the Barron river is just challenging enough to keep everybody happy. There are many interesting things to see in the Daintree Rainforest. 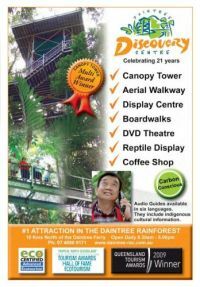 This world class interpretive facility that allows visitors easy access to every level of the Daintree Rainforest; from the forest floor to the upper most reaches of the canopy. Green Island is an easy escape for the whole family. Situated just 45 minutes by fast ferry, the day is yours at leisure to do as much or as little as you please. The Cairns Zoom is the world's first Challenge Ropes Course in a wildlife immersion exhibit, situated in the heart of Cairns City. Fitzroy Island is only a 45 minute ferry ride from Cairns. 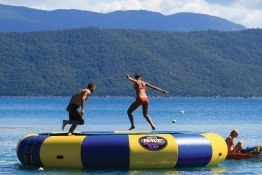 An ideal family escape, come and play for the day or stay at Fitzroy Island Resort. You'll never grow out of the excitement of a train ride, especially when it's one of the most unique rail experiences in Australia. 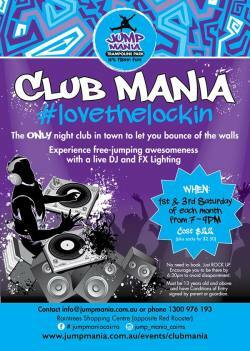 CLUB MANIA at Jump Mania every 1st & 3rd Saturday of the month, 7PM until 9PM Live DJ AND FX Lighting!!! Need some time out from parenting. Relax while the kids have fun & play! Indoor live action laser games! Look out for school holiday specials!